I had a difficult decision to make. Desperately I prayed to God, “What do You want me to do?” But no matter how much I prayed I couldn’t get an answer. I asked to speak to Swamiji about it. When we met, he was sitting in an armchair and I was on the floor in front of him, with an ottoman between us. As I began to explain my dilemma, I was so overcome with emotion I collapsed against the ottoman, buried my head in my hands, and began to sob. We sat together for a few moments longer, but it was soon clear he had nothing else to say to me, so I left. “It may not be hard for him to know,” I thought, as I made my way back home, “but it is hard for me.” Swamiji’s answer, however, had not referred to either one of us. He spoke of the simplicity of the task itself. “Reason follows feeling,” Master said. Whatever the predisposition of the heart, the mind will follow. Most people are predisposed in favor of their desires, attachments, and the fear of facing an unknown challenge. All these block one’s ability to perceive reality. 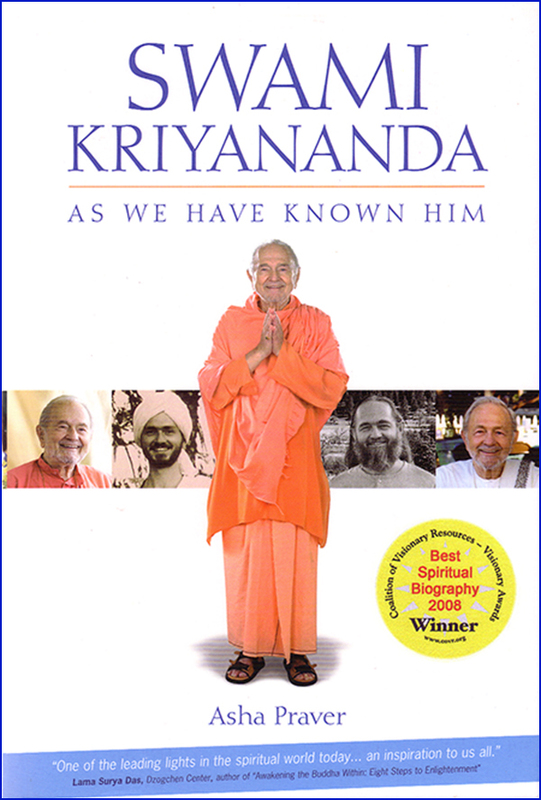 Swamiji’s only “predisposition” is to know the truth. He is not plagued by what Master calls the “thwarting cross-currents of ego.” He has a single desire: To know God’s will. Swamiji leads with his heart. From the side, he looks like a strung bow: straight spine, outwardly curving chest. The clarity of his mind comes from the courage of his heart. “In teaching meditation,” Swamiji said, “people speak of the need to calm the mind. In fact, it is the heart that needs to be calmed. That is why devotion is fundamental to success in meditation. When the heart is calm and one-pointed in its focus on God, the mind is also still, because there are no restless feelings to disturb it. “Patanjali defines the state of yoga, meaning ‘union with God,’ as ‘Yogas chitta vrittis nirodh.’ Yoga is the ‘neutralization of the whirlpools of feeling.’ These whirlpools—chitta—reside in the heart. That simple exchange with Swamiji—my anguished cry, “It is so hard to know God’s will,” and Swamiji’s calm, three-word answer “No it’s not.”—was one of the most influential encounters I have ever had with him. Whether the answer comes in a flash of intuition, or after long, and sometimes painful introspection, once the fear is removed, Swamiji is right. It may still be hard for me to follow God’s will, but it is not hard to know.